Hello my name is Shahar, the owner and operator of this yacht. White Cloud is a yacht made entirely of wood, was built in Norway, an arm of Colin Archer. Length of 49 feet and can carry up to 15 passengers including crew. Touch her wooden yacht moving, the wind fills the sails, you can close your eyes and relax. The double wooden beds, covered in red velvet, you can sit back and take a nap. Yacht built very wavy sea, equipped with the most modern electronic equipment. Yacht her client Terry natural food, fish and seafood of various species, fresh meat and smoked. For a long time to plan to capture some distance, stop a moment the pressure at work, the long days, to be with her, alone, quietly. You know he really would like you to be just the two of you, even talked about it appropriate to do something together, once without society, without half the time. If you will, a good gourmet meal sign the fun. Families wanting to experience kissing routine. Breakfast, lunch and dinner, breakfast … Oh, do not deserve to be pampered a little. Let your child be a pirate, your child will save your providence pirate. You can sit back and fun, children will be close to heaven, they will take part in navigating the yacht, pronunciation, raising the sails. If you want a gourmet meal satisfying it would be just to sign the experience. Coordinator / A human resources, a \ A team culture – you're looking for your events and attractions, you broke your head What do company formation activities. This yacht is the basis of many sessions, steering and navigating a yacht to swim, oboes and if we can jump really ask sailing school near Marina. If you wish, gourmet meal will spoil you at the end of the orientation activities. Have left the children with their parents and perhaps children have left home. You are looking for a place to catch the head, some beers, some sun, a little sea, a plate of nuts, some fruits washed. What should be more than that guy, let's group members want to spend fun together, go to sea, sailing with bathing, oboes lovers and those who matter, you will have to team yacht until you lose interest. Sure you think a good meal now after all this sea is a good idea, we also think. Want to celebrate the next event in a different and original? White Cloud will also allow you to enjoy an exceptional experience level of the sea – yacht events. 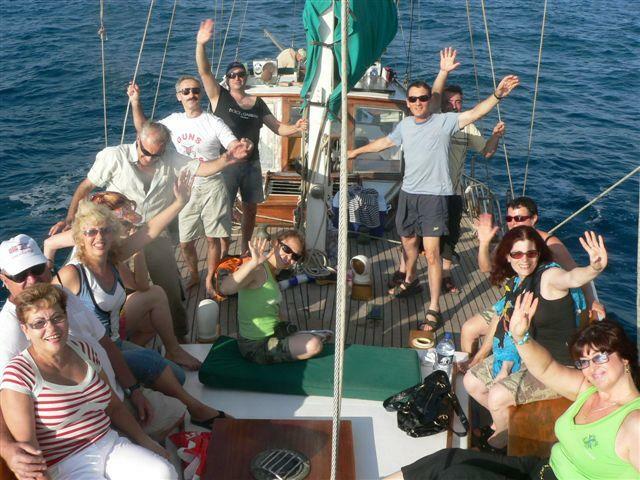 So if your anniversary is approaching and you want to give your spouse an unforgettable experience, whether the son's birthday imminent, and you want to give him the feeling that characterizes the pirate cruise on a yacht at sea, or if you are looking for committee work and fascinating experience formulating staff consolidation , yacht events is an ideal way to experience a different atmosphere, especially special and magical. Yacht rental yacht events on a white cloud, lets catch up to events hosted fifteen, and for this reason birthday on the yacht is certainly one of the most appropriate options to celebrate on board. Possible to have a birthday on the yacht for a few hours, or to extend the experience even for a few days, including full hospitality meals and lodging. During the longer voyages, you will gain the basic operation of classes celebrating yacht, fishing deep at sea. The meals, you will submit a yacht team directly at sea aboard the rich cuisine, in other words, birthday yacht is an experience rich, luxurious and exciting which will serve as a unique and original gift for everyone, any age. Yacht events can be made for any reason, so if you want to disconnect some of the population, to experience a luxurious romantic evening as a couple, double heart refresh marriage or forming a group of friends or work, take a yacht next event, sailed with her to the heart of the blue sea, leaving the cares of the day days far behind, an event full of experiences, quiet relaxation and pampering delicious dishes.